State lawmakers in Connecticut are getting set to debate a bill that would provide state and city police departments to use armed unmanned aerial vehicles or “drones” fitted with weapons that are deadly or capable of inflicting serious injuries, according to report from the Connecticut General Assembly this week. As technology advances so does the ability to combat criminals and radical terrorists such as Islamists. While the proposed law overwhelmingly passed the state’s judiciary committee, several members said they just wanted to allow an open debate by lawmakers from both political parties. 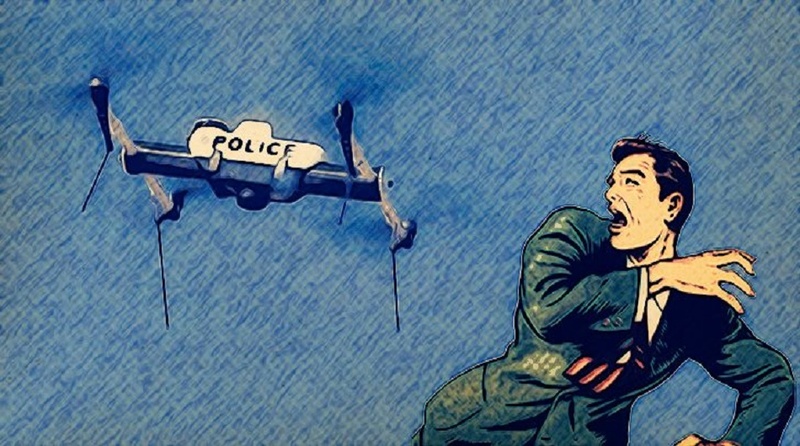 According to reports, only the state of North Dakota has allowed its police forces to use weaponized drones, but even then police are only allowed to the use weapons deemed non-lethal, such as stun guns (Tasers), rubber bullets, water hoses or tear gas. Meanwhile, Wisconsin, Nevada, Oregon, North Carolina and Vermont prohibit anyone — police or National Guard — from using weaponized unmanned aerial vehicles. Details regarding law enforcement’s use drones armed with deadly weapons will be stipulated by the Connecticut’s Police Officer Standards and Training Council (POST). Police officers assigned to controlling drone flights and the weaponry are expected to receive intensive training before being allowed to use the armed drones. 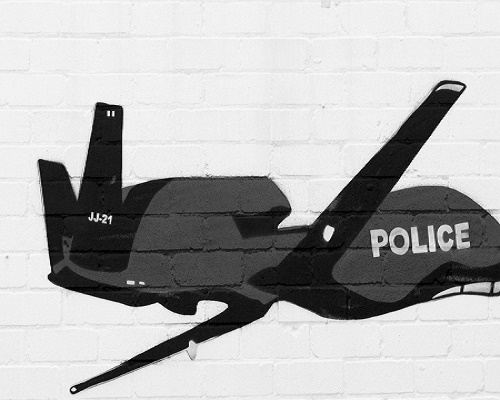 “I can see both sides of the issue of armed drones,” said a former New York police lieutenant. “On the one hand a weaponized UAV is one more tool that can be used in dealing with a terrorist attack, but on the other hand it may be misused in situations that don’t require immediate deadly physical force,” said Lt. Carl Winnacker. However, another veteran cops sees things differently: “I’m against it because there are certain risks, especially when you go high-tech,” said former NYPD police officer Iris Aquino. “There are people out there who have the knowledge and ability to actually commandeer control of drones and use them to attack police officers or innocent civilians. Look at what renegade governments and expert hackers have been able to do [with computers]. It could be a nightmare,” Aquino said. The Connecticut law, if passed, requires police agencies to obtain a judge’s warrant before using a drone, unless there are emergency circumstances or the person who is the subject of the drone use gives permission. Police commanding officers will be required to records and report yearly their use of drones including why a UAV was needed. One of several models of UAV’s being considered by law enforcement for urban use. During a senate hearing, titled, “The Future of Drones in America: Law Enforcement and Privacy Considerations,” held on Wednesday, legal experts told lawmakers on the Senate Judiciary Committee that within the next ten years thousands of unmanned aerial vehicles, commonly known as drones, will be used to gather information from civilians by law enforcement and intelligence agencies. Legal experts who testified, including Amie Stepanovich, director of the Domestic Surveillance Project, Electronic Privacy Information Center, claimed that new privacy laws are required to protect Americans from public and private use of UAVs. Drone construction and implementation is considered a “growth industry” in the U.S. with research continuing on production of a “stealth drone.” Unmanned aerial vehicles will be programmed to monitor crops, national parks, animal preserves and to assist police SWAT teams. As a result, federal and state privacy laws have been rendered anachronistic by advances in drone technology, experts said at the Senate hearing. Meanwhile, Federal Aviation Administration officials claimed that upwards of 7,000 civilian drones will be in use within the next five years once the FAA grants them greater access to U.S. skies.